A new acquisition to the image library is this magic lantern slide of N.S.4 – probably taken during the winter of 1917/18. Seen here ready for action, N.S.4 was one of the commands of N.S.11’s Captain W. K. F. G. Warneford. NS11 – As Bright As Day is very much a work in progress and has been made possible by the generous and enthusiastic support of many individuals and organisations. 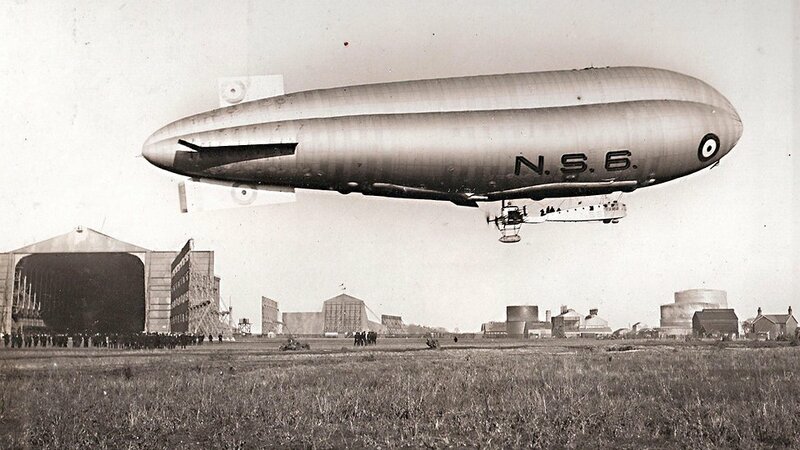 If you have any information, records or material relating to British NS Class airships we would be very interested to hear from you – especially anyone related to members of the crew of NS11 or any airship of the class during their service with the RNAS or RAF during and beyond WWI.